Somewhere between the Half-Windsor and the Windsor, the Pratt (or Shelby) offers the thickness of the former and the symmetry of the latter. It is the knot of the Every Man, for nearly all occasions. It is also one of the few knots starting out with an inverted tie, which means the tie needs to be upside-down when you put it around your shoulders. 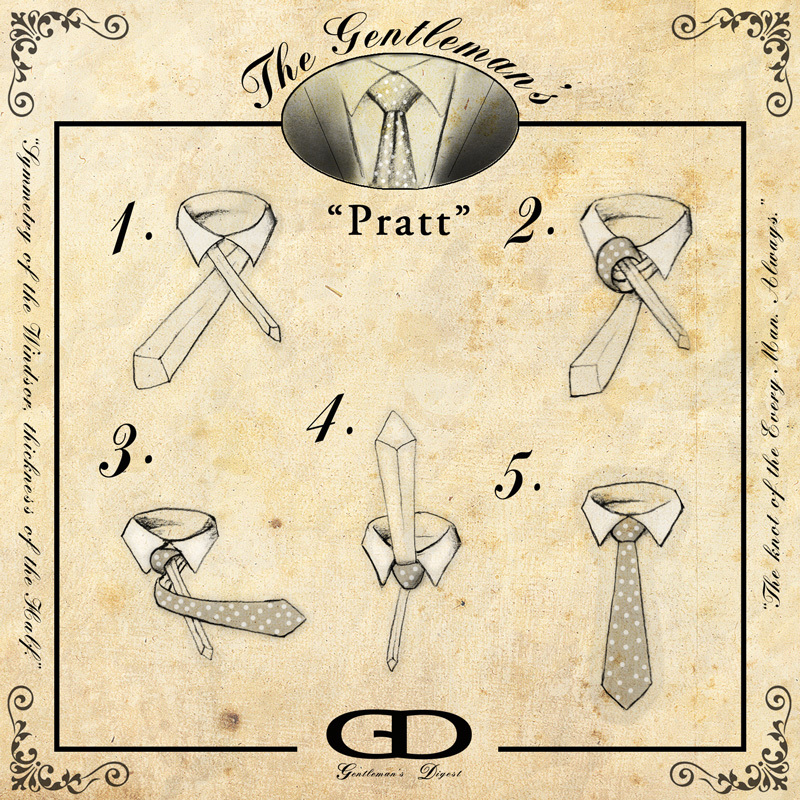 With its size, its shape, and simplicity, this makes the Pratt one of the most versatile knots. It goes well with most body shapes and almost all collar types out there. 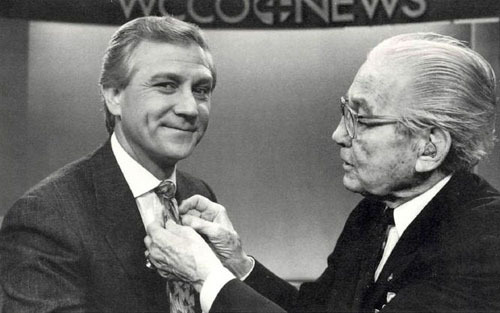 The knot is named after Jerry Pratt, an former US Chamber of Commerce executive, and was popularized by journalist and news host Don Shelby in the 1980s. (Pratt on right, Shelby on left in 1989 photo for People Magazine) Granted, these fine gentlemen were simply a shining example of how the media turned a light on a timeless practice and gave it a new name. 2. Loop the wide end up and around the near side of the narrow end at the collar, bringing it back out on the same side (as pictured below). 3. Flip the wide end across and in front of the knot. 4. Pass the wide end up and under the other side at the collar, bringing it all the way through toward your face. 5. Slip it through the knot and cinch it tight.